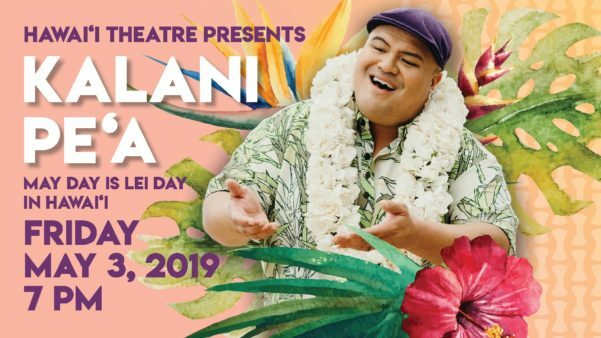 Two-Time GRAMMY® winner Kalani Pe‘a will headline Hawaii Theatre’s May Day is Lei Day concert. Kalani Pe‘a made history early in 2017 when he became the first Hawaii-resident recording artist to win a Grammy Award since Hawaiian music was absorbed by the catch-all Regional Roots Music category. Several months later he became the first Hawaii-resident recording artist ever to win a Grammy and a Hoku Award for the same project. Two years later Pe‘a is back with an award-worthy second album that is every bit as good as the first. Hawaii Magazine says Kalani Pe‘a is in a category virtually all his own. He has the pipes and energetic stage presence of Broadway favorite, Bette Midler. Pe‘a has risen to be one of the best young Hawaiian singers, bringing a modern sensibility to his own vision of Hawaiian traditions. At this special concert, the Grammy Award Winner will perform brand new original compositions off of his latest release, along with many special guests. 9-time Nā Hōkū Hanohano award winner, Mark Yamanaka, is proud to call Hilo, Hawaiʻi his home. A father of 2, Mark released his debut album, Lei Pua Kenikeni, in 2010. It went on to win 4 of the most coveted awards at the 2011 Hōkūs and in 2013, he followed that success with the release of Lei Maile. Just as successful as its predecessor, Lei Maile also received 4 awards at the 2014 Hōkūs. In 2015, he collaborated with his close friends, Kūpaoa, to release a holiday album, A Gift of the Heart. That album was named Christmas Album of the Year at the 2016 Hōkūs. After a 5-year hiatus from his solo Hawaiian releases, Mark is thrilled to share his latest collection of songs on this 2018 release, Lei Lehua. He has never released a selection as personal as this one, with 8 of the 14 tracks written or co-written by himself. Lei Lehua is a celebration of Mark’s love for his hometown, his love for his family, and his growth as a musician, vocalist, and composer. Like his previous albums, Lei Lehua is an unforgettable garland of songs, sure to adorn your heart and mind. Hālau Nā Mamo O Pu‘uanahulu (HNMOP) is one of the largest hula schools in the State of Hawai‘i. They have captured the title of the overall winning Hālau for numerous years at the Merrie Monarch Hula Festival in Hilo Hawaii. 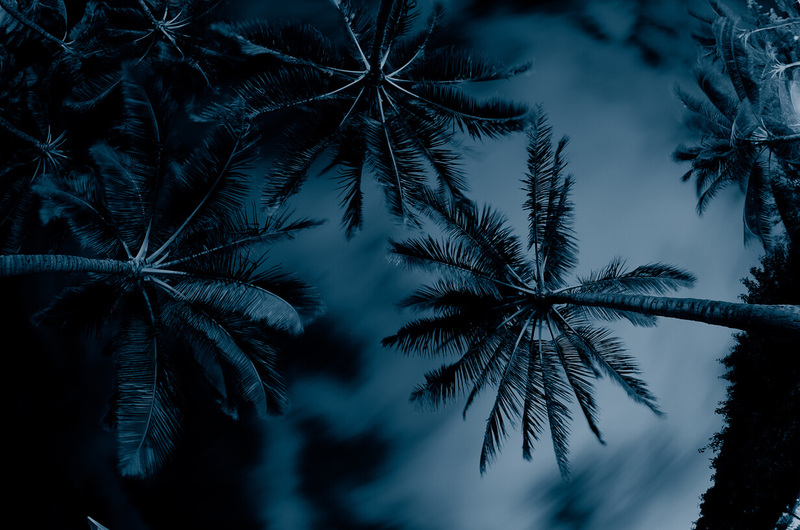 The hālau’s repertoire is quite extensive, including many of the Pele chants not performed today, as well as many chants and dances for past ali‘i, from pre-western contact to the last ruling Kalākaua dynasty. Singer – Songwriter, Amy Hānaiali‘i remains Hawai‘i’s top selling female vocalist of all time. Hānaiali‘i’s success as a recording artist speaks for itself and is evidenced by a multitude of awards and acknowledgements, including 5 GRAMMY® nominations for Best Hawaiian Music Album. Amy’s role as a cultural force for Hawaiian Culture stems from composing in Hawaiian Language and bringing her language to the world with a current blend of diverse musical styling. Hanaiali‘i’s talent emerges from a disciplined classical training, fused powerhouse vocals, and honoring her family’s worldly heritage and rooted ancestral responsibility. Amy’s albums have also garnered 18 Nā Hōkū Hanohano awards – Hawai‘i’s equivalent to the GRAMMY® awards. Hānaiali‘i’s range of multiple Nā Hōkū Hanohano wins, showcases her varied musical depth over the years prevailing in the following categories: Female Vocalist of the Year, Hawaiian Album of the Year, Song of the Year, Group of the Year, Christmas Album of the Year, Contemporary Album of the Year, and many others. Her diverse success and cultural responsibility, provide clear recognition by Hawai‘i’s music community and fans with universal acceptance. All of Hānaiali‘i’s albums have validated commercial success by consistently placing her at the top of the World Album Billboard charts. Amy has played for sold out crowds in Europe, Japan, China, all across America and French Polynesia. Hānaiali‘i’s Friends and Family album showcased a stunning duet with country music legend Willie Nelson. Alongside and recording with the best, Amy also has performed live and opened for renowned artists like Earth, Wind and Fire, Carlos Santana, Boz Scaggs, Diana Krall, Joe Cocker and many more – her upcoming release features a duet with Michael McDonald. After obtaining a Bachelor’s Degree in Fine Arts from United States International University – School of Performing and Visual Arts in San Diego, Amy spent time with her paternal grandmother, International Hawaiian superstar – Jennie Nāpua Woodd. Undoubtedly her world famous falsetto training and strict pronunciation lessons gave Amy a beloved respect of Hawaiian Culture and Music, making her grandmother Nāpua one of Hānaiali‘i’s most influential people in her life. Woodd, one of the original Royal Hawaiian girls in Waikīkī or Tūtū as Amy affectionately calls her, helped shape the entertainment scene of Hawai’i as a Kumu Hula/Choreographer in Hollywood, Las Vegas, and NYC. Woodd worked on every Pacific-themed motion picture in the 1940’s and 1950’s and her choreography defines that cinematic genre. Also Woodd while performing on Broadway and the Lexington Hotel in New York City, Tūtū met Hānaiali‘i’s grandfather Lloyd B. Gilliom. He himself a musician who played trumpet and steel guitar with the likes of Sammy Kaye, Tommy Dorsey and other notable bands of that era—joined Woodd to build a rich tradition of Hawaiian Culture on both coasts of America. Amy sits on 3 Native Boards, Native Arts and Cultures Foundation, Hawai‘i Academy of Recording Arts and Hui O Wa‘a Kaulua. Aside from the music community, Hānaiali‘i has garnered accolades from the Pacific Business News as their “40 under 40 Business Person of the Year” award, recognizing not only Hānaiali‘i’s talent, but also her business acumen needed to market her talent. Hānaiali‘i has recently launched 3 vintages of wine under her wine company Hānaiali‘i Wines with her 2013 Merlot earning a 90 from Wine Spectator, The LA Wine Festival and 5 gold medals. Na Hoa, a traditional Hawaiian music trio, was among the big winners at the 36th annual 2013 Na Hoku Hanohano Awards ceremony (Hawaii’s music industry equivalent to the Grammys) held in Honolulu. The group won four awards, including album of the year for the group’s self-titled and first-ever album. The other awards: group of the year, most promising artist, and Hawaiian music album of the year. In 2015 they returned with a Christmas “EP” entitled “Cha-Lang-a-Lang Christmas,” which also garnered a Hōkū award. Na Hoa’s members include Ikaika Blackburn (ukulele), Keoni Souza (bass) and Halehaku Seabury-Akaka (guitar). Na Hoa, which translates as “the friends,” formed in 2002. Na Hoa recently released a new album titled “Aloha From Na Hoa” which has been nominated for the 2019 Grammy® Awards. Josh Tatofi was born and raised in Honolulu, Hawaii. His father, established local musician Tivani Tatofi, is an original member of the acclaimed reggae band Kapena. As a child, music for Josh was inescapable. By the age of thirteen, Josh had begun performing throughout the Hawaiian Islands, establishing himself as a respected vocalist while gaining the recognition of his audiences and his peers. By the age of nineteen, Josh recorded an album with the wildly popular Maui band ʻEkolu. Spawn to the Kapena sound, Joshʻs early career resembled that of a reggae-lover, consisting of upbeat melodies, catchy hooks and local collaborations. But with idols like Luther Vandross and Pebo Bryson, and ballad-ready chops to boot, Josh yearned to fuse his R&B soul with a love for his Polynesian heritage. “I ka wā ma hope, I ka wā mamua.” A Hawaiian proverb meaning, the future is in the past. As Josh developed artistically, the heritage of his past became the gateway to discovering his future. In 2014, Josh had a career altering epiphany and discovered a home for his voice in traditional Hawaiian music. With the release of his first Hawaiian language single, titled Pua Kiele, Josh expressed his adoration for the language, culture and traditions of Hawaii. In 2016, Josh released a full-length Hawaiian album, also titled Pua Kiele, and with it embedded his imprint in the Hawaiian music scene. Since then, Josh has earned the nickname as, “the Luther Vandross of Hawaii.” And with a significant title to bear, Josh Tatofi continues to express his soul through Hawaiian mele.